“Shari Green, author of Root Beer Candy and Other Miracles, has found her story as a writer of extraordinary middle grade novels in verse. 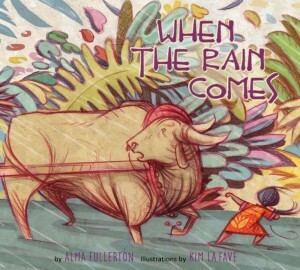 Though I suspect she can write just about anything–middle grade, young adult, speculative fiction, non-free verse–her talent is definitely in writing insightfully poignant tales in the impassioned and crisp free verse style. 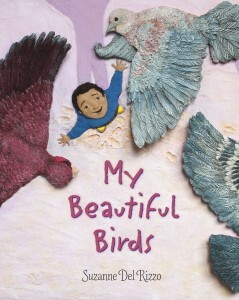 As in her earlier book, Shari Green uses few words, but the right ones, to grow a story of such sensitivity for and awareness of her characters and readers that all will leave the story fulfilled. Her characters’ stories connect with us in ways we cannot put into words. 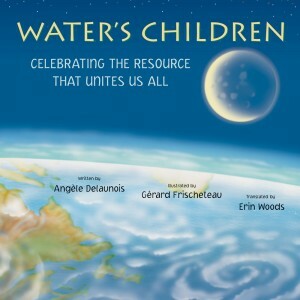 I was astounded that a little girl could gain so much wisdom, courtesy of Iris and Shari Green of course, about life’s stories that she has a middle-aged woman such as myself in tears and heeding her advice. “I love books about people who love books. In the words of Anne Shirley (Anne of Green Gables by Lucy Maud Montgomery), the characters are kindred spirits, who understand the happiness books bring, and that the stories within its page give readers exactly what they need. 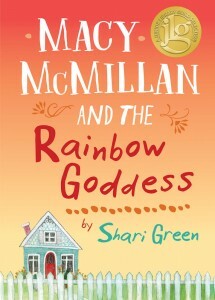 Canadian author Shari Green must be a true book lover because her characters in Macy McMillan and the Rainbow Goddess certainly are…. 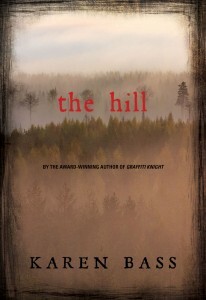 The book is written in free prose, which makes it a quick read. Macy is a wonderful character, and it’s amazing to watch her grow and come to terms with a life that is being forced on her. Iris is also fabulous. Not only is she a book lover, she is also the believer in the power of cookies, and in her younger days delivered messages with cookies, each type telling the recipient something different – chocolate chunk cookies, Iris says, tells people everything will be OK; sugar and spice cookies (with a recipe at the end of the book) says you are loved, that you belong.